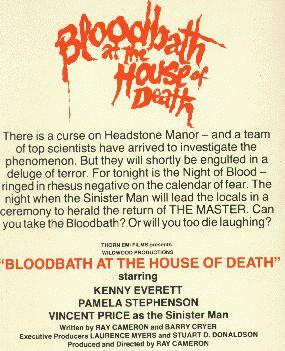 Very loosely based on Ray Cameron and Barry Cryer's screenplay for Wildwood Productions, this comic horror novel parodies the Hammer genre. 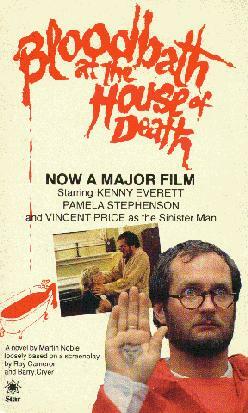 The movie starred Kenny Everett, Pamela Stephenson and Vincent Price. This page was created on 15 August 1996 and last updated on 12 February 1997.